We live in an age where technology has slowly be steady become an intricate part our life from the moment we wake we reach for the phone and check messages and then the days starts. I feel as a military spouse you have lots of things going on from family to work to friends to your spouse. It’s a constant battle to find relevant information quickly and easily. It took me awhile to try Twitter. I didn’t get it. I thought it was pointless at first. However, when I began blogging I realized I needed to be more open-minded and check what Twitter was all about. I actually came to find over time I really liked Twitter. It’s different from other forms of social media and made it possible to get information fast and share it tons of people at once. Twitter has given me the ability to connect with other Military Spouses in an instant. I can check my feed share a quick thought or article or blog post. I love seeing what other military spouses think and I see I am not the only one who deals with certain things. 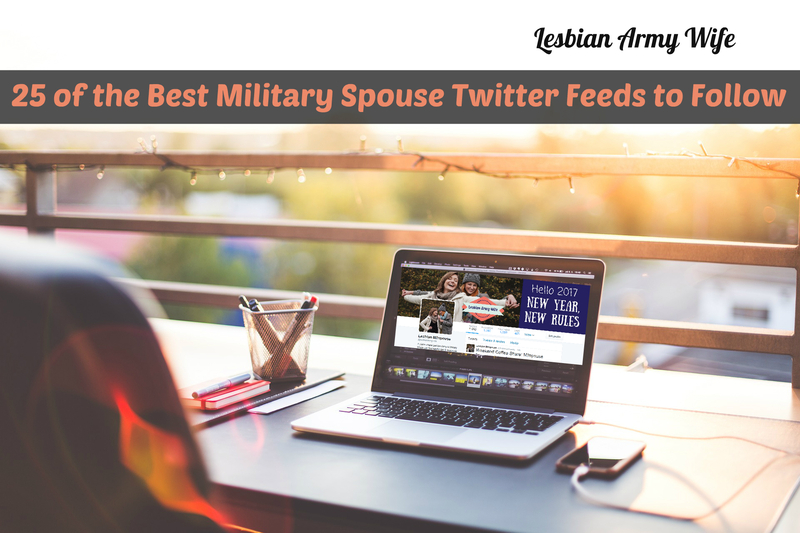 I also like knowing the latest news and what resources are available to me.I wanted to share my favorite Twitter Feeds with you in case you are new to Twitter or a newbie who is looking for vital information to help navigate your new life as a military spouse. About: AWN is a grass-roots effort for #militaryspouse empowerment and support. 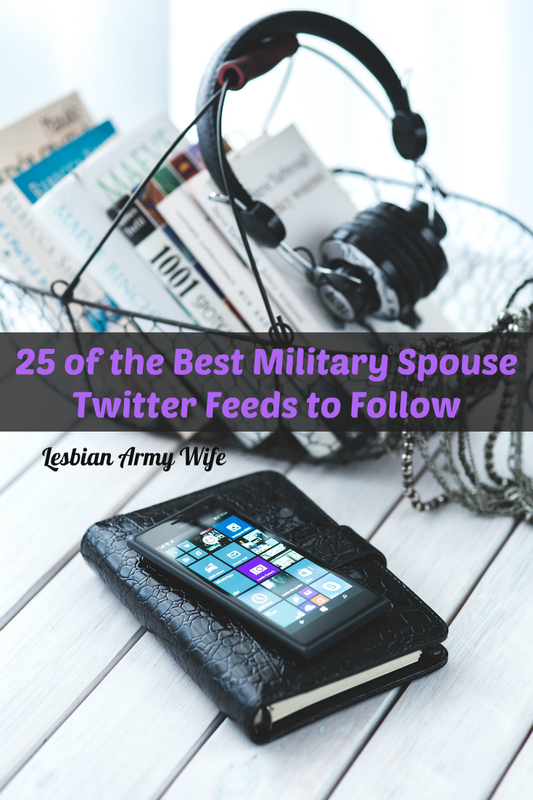 Valuable resources, podcasts, blogs, and columns for the #Armywife & #milso. Join us! About: Krystel S. Head of Brand Outreach@MSBNewMedia Creator of Popular Lifestyle blog for #Milspouse. Former French Fry and Cupcake Snob! About: I help ambitious military spouses start their own businesses that can move with them to each duty station. About: I write about life as the home front to a deployed service member. I was well prepared and it was still nothing like I expected. About: THE site for #millennial #milspouse &#MilSo. Because the last thing you are is dependent. Lifestyle, careers, & trending news for the #military community. About: Military spouse blogger, photographer, writer, avid reader, social media lover, mom to 3 boys, wife of 13 years, living in Tennessee, dreaming of California. About: Stories & advice that feel like coming home. Relationships (including long distance and military), care packages, DIYs, recipes, & the things that matter. About: Your Military Health Plan – Serving Uniformed Service members, retirees and their families worldwide. About: Military Spouse – Simplifying your crazy, wonderful military life. Join our amazing#militaryspouse community! Welcome to the family. About: To applaud the brave military spouses who shoulder responsibilities of family, employment, finances, wounded warrior care, and the honoring of fallen heroes. About: Supports MilSpouse projects. Learning something new every day. Wine,Yoga & Books – my favorite! War Eagle! About: We are all one #military family. Official Network for National Guard and Reserve families. About: The National Military Family Association tweets! Find us on Facebook at httww.facebook.com/militaryfamily or read our blog at h://blog.militaryfamily.org . About: SalutetoSpouses is the new go-to resource for education and career news for military spouses. About: I’m passionate about helping people. Whether it’s a personal goal, or learning how to work together as a couple or team- I help people build strong, balanced relationships with themselves and others. About: https://www.SpouseLink.org ™ links military spouses together with informative, supportive and inspiring Web content. About: Troop ID works with brands to enable verified members of the military & their families to access their military discounts online & earn cash back at @IDme. About: Military Benefits information for active duty, veterans, reserves, military spouses and families. A non-government, privately sponsored account. About: MILLLIE is standing by to help military families move with a network of people who’ve been in your shoes, and are ready to help you before, during and after your PCS. About: PCS-Lodging provides easy access to lodging in and around U.S. Military Bases. We also are a source for military travel related news. A Military By Owner company. 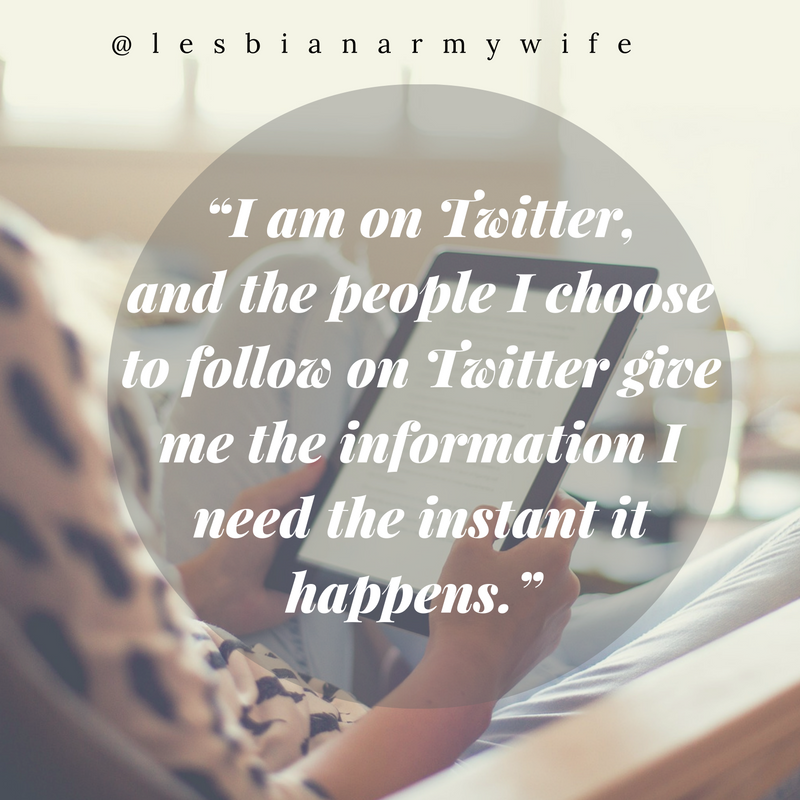 About: A place where Lesbian Army & Military Wives can find helpful tips & resources. Also, learn about benefits & their new life as a Milspouse! Who are your favorite feed that your follow on Twitter? Leave a comment and share! Thank you so much for including me in this list! You are a ROCKSTAR! Of course! Your optimism and creativity overflow from your blog and website! No problem. I love how out of the box you are! I really appreciate your perspective and voice. great list! thanks! LOVE PCSLodging & MilitaryByOwner – super duper helpful with Summer moving season ahead! Thanks for stopping by! Glad you enjoyed this post!